This guide is for parents and carers who think the Department for Work and Pensions (DWP) have made the wrong decision about their child’s claim for Disability Living Allowance (DLA). We want to help you get what you are entitled to. This guide will help you work out if you should challenge the decision, as well as show you how to do it and win. If you made a claim for DLA for a child and you didn't get the award that you think they were entitled to, you don't have to give up. This guide will help you work out if you should challenge the decision by asking the DWP to look at their decision again. This is called a 'mandatory reconsideration’. If you decide you should challenge it, this guide will show you what to do step-by-step. If the DWP don’t change the decision straight away, this guide will show you how to appeal the decision and win. (You must ask for a reconsideration before you can appeal). And how to stop it from getting too stressful. We have written it because we think everyone should be able to get the help they are entitled to. This guide looks long, but don't be put off - you will only need to read one of the coloured sections at each stage. If so, we would like to hear more about your experience, or the experience of people you help. Please could you tell us more about it in our survey. We regret that we cannot provide advice on your individual situation. Please see How to find an adviser for details of where you may be able to get advice. If you made a claim for DLA, and you didn't get the result you had hoped for, you don't have to give up. There are things you can do to challenge the decision. You may feel that you should just give up. After all, the DWP has said that you are not entitled, so maybe you're not. But they are often wrong. You may be entitled to a lot more help than you are getting - and everybody should get what the law says they are entitled to. Read ‘How DLA works’ (or, if you need more detail, Contact a Family’s guide to claiming DLA) to check whether you should qualify. If you think you should, ask for a Mandatory Reconsideration. See How to ask the DWP to look at their decision again for our advice. If they don’t change their decision you should appeal. You have nothing to lose. Read ‘How DLA works’ (or, if you need more detail, Contact a Family’s guide to claiming DLA) to check you understand the rules correctly for the different rates. If you think your child requires enough additional help to qualify for a higher rate than you’ve been given, you should ask for a Mandatory Reconsideration. See How to ask the DWP to look at their decision again for our advice. If they don’t change their decision you should ask for an appeal. You need to act quickly as the time limits can be quite strict. You have one month from the date of the letter they sent you to ask them to look at it again. If one month has already passed, you can still ask but they don’t have to accept it. If the delay was unavoidable or a result of your child’s disability (or your own), it will help if you explain that. Longer delays will need better reasons. You can also ask for a mandatory reconsideration or appeal after the deadline if you have a good chance of winning, but they do sometimes say no. Your request will only definitely not be accepted if 13 months have passed since you were sent the decision. You may still have a good case for the amount you used to get, but you may not have. It can be hard to tell because your child may need less help than they did when they were younger, but so of course do the non-disabled children of the same age that they are being assessed against. Because you are used to it, you may be underestimating the amount of extra care the child needs. If you are in this position, it is particularly useful to get advice (and not from the DWP!) See ‘How to find an adviser' below. If you can’t get to see an adviser, talk it through with a friend who has a non-disabled child of the same age. Often this will help make it clear if you are continuing to provide substantially more care and supervision than other children of that age require. Read ‘How DLA works’ to check if you are still entitled to the rate you used to get. If you think you are, you should ask for a Mandatory Reconsideration. See How to ask the DWP to look at their decision again for our advice. If they don’t change their decision you should appeal. When you ask for a Mandatory Reconsideration or an Appeal they look again at the whole award and, in theory, could lower the award you have. For example, if you've been given a low rate, it is possible that they will decide that an error was made and that you are not entitled to any help at all. However, this will only happen if there is evidence that the child needs less help than the DWP initially thought. Read ‘How DLA works’ (or, if you need more detail, Contact a Family’s guide to claiming DLA) to check you understand the rules correctly for the different rates. If you feel that your child easily meets the criteria for the award they have received, you can assume the risk of the award being lowered is very small. Usually if the panel is considering reducing your award at the hearing, then the chairperson will give you warning and ask if you want a few minutes to consider your options. If this happens, you can ask to stop the hearing and the Tribunal will not be able to take away the benefit you get at the moment. It is now much harder to find advice and help with your children’s benefits than it used to be. You should expect that you will have to do most of the work yourself (or with help from your friends or carers – don’t worry, this guide will show you what to do, and how to do it). But if you can get a bit of advice to make sure you know what rate you should be getting, it will be really helpful. It may not be possible, but it is also worth trying to get help from an adviser to prepare for the appeal or even represent you at the appeal. It can be very upsetting to have to explain all the difficulties your child has in detail and so it is usually best if you are helped by someone more remote. If you cannot find an adviser to help you prepare for the appeal, ask a friend or relative and ask them to read the relevant bits of this guide. Contact a Family run a free helpline which can tell you what advice services are available in your area - 0808 8083555. It is open 9.30am-5pm, Monday-Friday. If you have no success or can’t get through, check if your local council has a welfare rights service. In some cases they will be able to represent you. Try the advice services search on Shelter’s website (see below), phone the council and ask for ‘welfare rights’, check their website, or ask in your local library. There are sometimes services that you can access through your GP, social worker, or a service your child receives support from. There's no harm in asking - so call your child’s GP, social worker, or support service, and ask if there is a service for you. Shelter has a search facility of local advice services on their website. Use the tabs along the top of the results to see the different kinds of advice services. Only some agencies will provide advice on benefits so check the areas of law covered by each agency. Check if there is a Citizen’s Advice Bureau that helps with benefits problems near you on their website. Many now offer advice over the telephone. You can see if there is an independent advice agency in your area on Advice UK’s site. Check if there is a Law Centre near you. Some charities provide advice services for particular groups - for example, RNIB have a helpline for Blind and partially sighted people. Similarly, the National Autistic Society has a welfare rights service for parents or carers of children with autism. Clic Sargent provides advice on benefits for families of children with cancer. Check if there is a charity that provides benefits advice to people with your child’s illness or disability. If they provide information on their website about appealing or claiming DLA, it may also be very useful as it will usually show how people with similar symptoms to your child’s have proven their entitlement. If you can’t find an adviser to help, don’t worry. This guide will tell you everything you need to know. Whether or not your child is entitled to DLA is decided on how much more help they need than other children of their age, as a result of their disability or illness. This can be help that other children of their age don’t need (for example, if your 14 year old needs help with getting dressed), or help that children of their age do need but your child needs more help or it takes much longer (for example, if it takes you 30 minutes to get your 5 year old to brush their teeth, or if you have to spend long periods of time getting a 3 year old to settle to sleep). It doesn’t depend on their diagnosis and it doesn’t matter if they don’t yet have a diagnosis. When you are thinking about your case and whether or not you want to appeal, you have to look at what the criteria actually are - not what you think would be fair. DLA is paid at different rates. What rate you get for care depends on what additional help they need with things like eating, washing, dressing, learning, communicating, doing fun things, or sleeping, and how often. someone to keep an eye on them during the day and night to make sure they do not hurt themselves or other people. someone with them most of the time during the day to help them stay safe, or someone awake and checking on them at night to help them stay safe. substantially more practical help, encouragement or prompting than other children of their age for at least one hour or more (in one go or spread throughout the day). To count as needing help at night, your child needs to require a lot more help than another child of their age at a time when the rest of the household would usually be asleep. For example, if you usually go to bed from 11pm-7am, it would only count as ‘night’ if it happens between 11pm-7am. If you would usually be up, it doesn’t count even though it is after the child’s bedtime. DLA also has a ‘mobility component’ that deals with ability to walk and go places. have a severe mental impairment. The rules for this category are very strict and specific. If you are thinking of challenging a decision because you think your child is entitled to high rate mobility, we suggest you either get advice or look for information about how children with the same condition have proven entitlement. For example, The National Autistic Society has information about how some children with learning disabilities and autism may be entitled. need substantially more supervision or help to go to places they don't know than other children their age. For example, if your child needs to be prevented from running into the road (when other children their age are aware of road dangers), or needs extra prompting and encouragement to walk and keep walking. If you are not sure if your child’s needs would count towards DLA, see an adviser or look for information aimed at people with the same disability or illness that your child has. Information about how to fill in a DLA claim form will be very useful, as it will explain what is counted and the sorts of things you should focus on. Step 1 You got a letter telling you the result of your claim for DLA. You have been told that you are not entitled to anything or you think your child has been given the wrong amount. You have one month from the date on the letter to ask for a ‘Mandatory Reconsideration’. This is where the DWP look at their decision again. (If one month has already passed, you can still ask but they don’t have to accept it). Step 2 Ask the DWP to look again at their decision. This is called a Mandatory Reconsideration. We have built a tool that helps you to write the letter asking the DWP to look at their decision again for you - see our DLA mandatory reconsideration tool. Or if you would prefer you can use the guidance on the next page to write your own. The DWP will look at your claim form again, and any other evidence they have, to see if they will change the decision. Step 3 The DWP will send you two copies of their reconsideration decision. You will need the second copy if you wish to appeal. If their decision has been changed and you are happy with it, you can stop here. But if it hasn’t, don’t be put off. You have 1 month to ask for an appeal. Far more decisions are changed at the appeal stage than at mandatory reconsideration. (If one month has already passed, you can still appeal but they don’t have to accept it). Step 4 Use the SSCS1 form to ask for an appeal. See How to ask for an appeal for our advice. Step 5 The DWP will send both you and the HM Courts & Tribunals Service (who will organise the appeal hearing) an explanation of why they gave you the award that they did. Don’t be put off by the size of it. Step 6 You need to prepare for your appeal and, if you can, send in more information about your child’s difficulties. See What to do before the hearing for details. Step 7 You will be told the date of the hearing. If you have any further information about your child’s difficulties that you haven’t yet sent, send it now. Step 8 Your appeal will be heard by an independent panel, called a Social Security and Child Support Tribunal. They will make a new decision. See What to expect at the hearing for details of what will happen and What to do on the day for advice about what to do on the day. You need to ask the DWP to look at their decision again (called a ‘mandatory reconsideration’) within one month of the date on the letter they sent you about your DLA claim. If one month has already passed, you can still ask but they don’t have to accept it. If the delay was unavoidable or a result of your child’s disability, it will help if you explain that. Longer delays will need better reasons. (It will only definitely not be accepted if 13 months has passed). We want to find out more about the impact of our DLA mandatory reconsideration request tool and appeal guide. To help us with this, we would be hugely grateful if you would come back and tell us what happened. Try not to put it off. We have built a tool that helps you to write the letter asking the DWP to look at their decision again for you - see our DLA mandatory reconsideration tool. We recommend you use our tool, but if you cannot, please see our guidance below. You can ask for a mandatory reconsideration over the phone but it is better to do it in writing. It doesn’t matter if it’s typed or hand-written, it doesn’t need to be long, and you don’t have to use the ‘right language’. We know it’s hard to know where to start so we’ve included an example below so that you can feel more confident about it. The last two paragraphs (marked with a *) are optional. The most important thing is to ask for one within the one month time limit (if at all possible). Having said that, if you have access to a computer and can find the time now, it is helpful to write a detailed letter on the computer and keep a copy. This will mean you have the best chance of getting the decision changed at this stage, and you will be able to use the letter again if you have to ask for an appeal. This might be particularly useful if you think you may not have put enough detail or explained things well enough on the claim form. Use the example letter and the guidance in ‘What to put in a Mandatory Request Letter or Appeal Form’. If you have any more evidence that you think will help (for example, a letter from one of your child’s doctors, or a support worker or teaching assistant at school) send that too. It doesn’t have to be a letter they wrote for this purpose - a letter from one of your child’s doctors updating another, or a copy of your child’s EHCP will also be helpful. I am writing to ask you to reconsider your decision dated [Insert the date on the letter the DWP sent you about the DLA decision] about [insert name of your child]’s entitlement to DLA. I believe s/he should have got an award of [the rate you think they should have received]. [Insert name of child] has [insert names of any diagnoses or a short explanation of the main difficulties s/he has day-to-day]. I believe the decision did not properly take into account how much extra help s/he needs, compared to another child of his/her age, because of his/her condition. Please also send me copies of all the evidence used to make the decision. * S/he needs more help than another child their age with…. [insert details of the things s/he needs extra help with. See below for guidance]. * I enclose a letter from [insert name] as further evidence of [insert name of child]’s problems with [whatever the evidence helps to show]. If your child’s condition varies, explain what it is like on a bad day and a better day, and explain how often they have each. If your child is on medication to help with some of their difficulties, make it clear what care they need even after having taken the medication. The DWP can sometimes assume that medication solves everything. Equally if they are not on medication because it didn’t work for them or had awful side-effects, it can be useful to explain that. Parents sometimes want to explain the impact on the rest of their family or their own health of meeting their child’s additional care needs. We advise you not to do this as it is a distraction. Just explain what extra help your child needs, and why they need it. Below we’ve included some of the things lots of people have difficulty with to help you think about what you need to include. Does your child need more supervision or help than others of their age when out and about? For example, this might be because they need supervision to stop them acting dangerously and running into the road. Do you need to hold their hand or keep them within ‘grabbing distance’ to help keep them safe? Do they need supervision because something might happen (for example, a seizure or a panic attack)? Do they need prompting and encouragement to start walking and keep going? Or do they need continuous calming and soothing because of anxious or obsessive behavior? Or for older children, do they need extra help and supervision because they get easily confused, and could not manage a journey on their own that others of their age could? Do they need more physical help than others of their age when out and about? Do they need physical help to walk, or keep walking or to get up steps? Lots of people believe that you should describe the help your child needs on their worst days as if they need this level of help every day. This isn’t true. If you do this, it will look like you are exaggerating and they won’t believe you when you are not exaggerating. Instead say what it is like on a bad day and a better day, and explain how frequently your child has both. Does your child need more help with their daily care needs than other children their age? This might mean physically helping them, or encouraging them, or reminding them, or calming their anxiety enough so that they are able to get up or go to bed, get dressed or undressed, to wash, bathe or shower, or go to the toilet. Do they need more help with eating or drinking? Or if they need help to take their medication or do their therapy (including being encouraged to do it) explain what help they need and how often they need the mediation or to do their therapy. Do they need extra help moving about indoors? For example, do they need help to get in and out of a wheelchair, or up and downstairs. Or do they need help because of a visual impairment, or emotional or behavioural problem? Maybe they need prompting and encouragement to move around or help to move around safely, or maybe they won’t go to another room unless you go with them? Do they need extra help with playing or learning? For example do you need to spend more time describing things or explaining everyday objects or ideas? Do they need more guidance and supervision to get around the school and playground, and to take part in PE? Do they need more encouragement to take part in games or activities? Do they need help to stay calm or focussed? Do they need extra help at school or nursery? What help do they get? If they don’t get the help they need, explain the problems this causes. For example, if your child comes home from school without having eaten lunch or without having dressed properly after PE, you should explain this. Some people find that that, after they have put a mandatory reconsideration request in, they get a phone call from someone at the DWP who tries to explain why they think they have made the right award. If this happens to you, be polite but don’t allow them to put you off. Some people are also told that they need to provide further medical evidence in order to have a chance of getting the decision changed. This isn’t true. Anything that gives information about your child’s support or care needs can be relevant. It is also possible to win an appeal even without any further evidence or information. Remember, any advice given to you about your claims by the DWP may be incorrect. Do they need substantially more help to do fun things, whether that be a bit of art and craft at home or going swimming or to clubs like Brownies? This could be help to stay focussed, communicate with others, manage social interactions, or to stay calm. Or physical help to get changed for swimming, for example, and to get into the pool. Do they need substantially more help at night (while you or the rest of the household would otherwise be asleep)? Do they need help calming down and help to stay in bed? Do they need help to get to the toilet or supervision to make sure they don’t get up and do something that puts them in danger? Describe what help they need, how long it takes and how often. Have they ever hurt themselves or put themselves in danger as a result of their condition - perhaps because they fell or had an accident, or hurt themself on purpose? Or have they ever put someone else in danger as a result of their condition - for example, if they have hurt other people during a blackout, seizure, meltdown or ‘tantrum’? Have they ever been very destructive? If they have, you need to put this down too. It is important that the DWP know because some of the help the child needs may be in order to prevent the same thing happening again. If it has happened more than once, tell them how many times similar things have happened, and how having somebody with them could have stopped it happening or helped them afterwards. If you have not heard back after 6 weeks, you should ring them and find out what is happening. If they didn't change their decision, or they did but still didn't give you the amount you think your child is entitled to, remember that you can appeal. You need to tell them within one month. If one month has already passed you can still ask for an appeal if you have good reasons for the delay, but they do sometimes say no. Your request will only definitely not be accepted if 13 months have passed since you were sent the mandatory reconsideration decision. See ‘How to ask for an appeal’. You need to use the form SSCS1 to ask for an appeal. You can download the form from the HMCTS formfinder website. Make sure you don’t miss the deadline if you can possibly avoid it. If you are waiting for any letters or reports that you want the tribunal to see, you can mention these in the SSCS1 and say you will send them in as soon as you get them. Don’t delay sending the form in because you are waiting for these. In section 2, give your name, contact details, date of birth and National Insurance number and include the date of the decision you are appealing (this is the date on the letter they sent you). In section 3, give your child’s name, contact details, date of birth and national insurance number if they have one. In section 5 you have to explain why their decision is wrong. You need to give them as much detail as you can. If you wrote a detailed letter when you asked for a Mandatory Reconsideration and kept a copy, it might be easiest to copy and paste the text from that into a fresh document, and write ‘Grounds for appeal’ at the top. Read it through, and add in anything you can think of that is missing. Print it out and send it with the form. On the form just write ‘See attached’. If you didn’t write a detailed letter or haven’t saved it, use the guidance on How to ask the DWP to look at their decision again to explain why their decision is wrong and how much extra help your child needs. You also need to confirm if your appeal is within the time limit or not. If it isn’t, explain why the delay was unavoidable or a result of your child’s disability (for example, if you were unable to deal with it until now because you were attending to your child in hospital). In section 6 you have to choose whether you want to attend a hearing or whether you want the case to be decided on the papers alone. Almost everybody wants to choose the paper hearing because it seems less scary. However, you are much more likely to win if you go and speak to them face-to-face. It gives them a chance to meet you and ask questions. Don’t worry, the hearing won’t be nearly as frightening as you might think. Section 7 asks about your needs for the hearing. First it asks if there are any times in the next 6 months that you won’t be available to go to the hearing. It’s probably best to keep this simple – only tell them about times when you know you will be away or your child will be in hospital. It is probably best not to ask them to avoid dates that you can re-schedule easily. Question 3 asks if you need a signer or interpreter at the hearing. If you can sometimes cope but sometimes need help, ask for help. It is very important that you can say everything you want to say and can understand everything that is said at the hearing. Tell them what type of support you need. Question 4 asks if you are you willing to be given a date for the hearing at short notice. You should get at least 14 days’ notice of the hearing, unless you agree to accept less. It is up to you whether you do this. (Bear in mind that it will be even harder to get a representative to come with you if you have less than 14 days’ notice.) If you say that you do not need 14 days’ notice, make sure you get all the evidence you need ASAP. The HMCTS will send a copy of your appeal to the DWP and ask them to explain how they came to their decision. The DWP must do this within 28 days, although they can ask for an extension. You will receive a copy of their response. Don’t be put off by the size of it. Keep it safe. You will need it to prepare for your hearing. There are a lot of things for you to do over the next few months. It is important to start preparing as soon as you can. Some things can take a long time. If you have not already tried to get help and advice do so now (See ‘How to find an adviser' on How to decide what to do). Some advisers may be able to help do some of this preparation for you. If you are lucky enough to find someone who can help with the preparation, make sure you are clear which things your adviser is going to do for you, and which you need to do yourself. Usually you won't get told the date of the hearing until 2-3 weeks before (you should be given at least 14 days’ notice unless you agreed to be given less on the form). However, it is useful to know how long you have to prepare for your appeal. You can phone the tribunal centre dealing with your appeal and ask them. They will be able to give you a rough idea. You may get re-routed to a call centre who then asks the tribunal centre to call you back later. If you are not getting any professional help to prepare for the hearing, you might want to ask somebody else to help you. You may not need any help, but it might stop it from feeling too stressful. This is particularly useful if you are not very good with paperwork or deadlines. If you do think it might be useful, think about who you could ask - do you have a family member, friend, or someone who helps you who is good with paperwork and organising things? Online and other support groups can sometimes be very helpful. There may be other people who have had the same problems getting DLA for their children, who can give you emotional or practical help. Look at the big pack of papers that you were sent by the DWP explaining why they made the decision they did. Many people get very confused by the inclusion of test cases at the beginning. Don’t let them put you off. If you don’t have time to become an expert on all the legal ins and outs of DLA decisions, ignore these. The most important parts are the bits about your child. Read through it and look for anything you don't agree with. If your child had a medical assessment did the assessor ask you the right questions and listen to your answers? If their illness or disability is better or worse on different days, did the doctor understand that? If there is a report from your child’s school, does it give a fair picture of your child? School staff tend to be wonderfully positive about children’s abilities and progress and sometimes the DWP fail to understand the context (for example, that your child is making progress but that this is because they receive one-to-one help or are in a specialist school). School staff have usually been accurate but the limited nature of the form often leads to the DWP giving the wrong award. Make a note of all the things that are wrong. If you can, say why they are wrong. You can include this in your statement to the tribunal. Also think about how you could get further evidence (from the school for example) that would give a fairer picture. Check also that everything you want the tribunal to read is in the papers. If anything is missing, send in a copy before the hearing. Don’t assume that the appeal panel will have access to evidence used in previous claims. If it isn’t included in these papers from the DWP, the appeal panel won’t see it unless you send it in. Before you ask anybody for evidence – read this! You are appealing the decision the DWP made on a particular date (on the top of the letter). You need to prove how your child’s condition was at that time, not how it is now. Write the date of the decision you are appealing in the box on p x, before you ask anybody for evidence. Then show them Guide to writing useful evidence for Disability Living Allowance appeals. For most people, the thing that is of most help is written evidence from their child’s paediatrician, support staff, or school staff. If your child sees a psychologist, physiotherapist, an occupational or speech and language therapist, other healthcare professional, or has a social worker, evidence from them will often be very useful too. If your GP knows your child well, evidence from them is likely to be very helpful too. The best evidence will come from people who know your child well and who understand their situation. If your child’s paediatrician or GP does not know them well, you should still ask them for evidence, but try to get evidence from other professionals who know them better. This could be another doctor, or other healthcare professional, or somebody who helps your child at school. The most useful evidence will explain how your child’s illness or disability affects them, and the help they need. This is quite unusual, so your doctor or therapist may not understand that. Look at Guide to writing useful evidence for Disability Living Allowance appeals. This is a guide for your child’s doctors, therapists, school staff, or anybody else writing evidence for them. When you ask them for evidence to support the appeal, show them this page. It will help them to write evidence that will be really helpful to you. GP's and other medical professionals are allowed to charge for evidence. However, many won't do this if they know you cannot afford it. If your doctor suggests that he or she will charge you, tell them that you only need a brief note from them, and that it could be hand-written if this is quicker. Reassure them that it will only take the time of an appointment. Show them Guide to writing useful evidence for Disability Living Allowance appeals - so that they are sure of what you need from them. If they insist on charging you, think carefully about it. If it helps to get you more benefit, it will have been a good investment. But often the reason they are insisting on charging you is that they really don’t want to do the letter, so if they write one they may not try very hard and it may not be very helpful. If you are considering paying, ask them to confirm that they will write a genuinely helpful letter following our guidance on Guide to writing useful evidence for Disability Living Allowance appeals. Think too about what evidence you already have. Do you have reports of physiotherapy, occupational health, or psychological assessments? Do you have copies of letters that the different doctors and therapists have sent to each other? Does your child have an Education, Health and Care Plan (EHCP - this is the new name for a ‘Statement’)? Did you have a needs assessment from the local council? They are likely to be very helpful. Or is there other evidence you could get easily? For example, if your child is registered as blind or partially sighted, you can get a copy of their registration from the social services. These usually detail how much your sight is impaired and so are very useful. If there is somebody who helps your child a lot (this might be someone who helps them at school, a support worker, or paid carer), they may be able to write some very useful evidence too. Ask them to write a letter to the tribunal panel explaining what help they give your child and how often. Show them the guidance on Guide to writing useful evidence for Disability Living Allowance appeals - it may help them to remember everything. If they would prefer, they can keep a diary of the help they give instead. If you are appealing a decision which relates to your child’s ability to walk it is a good idea to record how far they are able to walk without severe discomfort, and how long it takes them. The tribunal will often ask quite specific questions about how far they are able to walk. If you (or someone who could help you) are good with writing, you should think about writing a statement. These can be very useful as they set out all the points you want to make, which means that you don't have to remember everything to say on the day. They also give the panel time to think about what you’ve said and why your child should be getting a higher rate, before they meet you. If you can, send it in in advance. For more advice on how to write a statement and what to put in it, see How to write a statement for DLA. You can also read Andrea’s statement about Alfie and see what she put in hers. Work out how you will get there and how long it will take the day beforehand. The last thing you need is to add to your stress by getting lost, not being able to park, or being late. It is best not to take your children to the hearing with you. In fact, if they are with you, they will usually not be allowed into the hearing. Organise childcare for the time of the hearing, and try to leave yourself plenty of time so that you don’t have a problem if the hearing is delayed (it often will be). If it will cost you, get a note from the carer/childminder confirming their rate – you will be able to reclaim expenses up to the national minimum wage. You can claim travel expenses for the day of the hearing if you use public transport or travel by car. You can also claim for a meal if you are away for more than five hours. If you have to take time off work, you may also be able to claim expenses for loss of earnings. And if you have had to pay a carer or childminder you can claim expenses up to the National Minimum Wage for the time you have been away. Before you go to your hearing, check what the current rules on expenses are on GOV.UK. The clerk will help you fill in a claim form when you go to the hearing. Make sure you take receipts for your travel and lunch. If you have lost earnings, make sure you have a letter from your employer confirming this. This is really useful and also stops the hearing or the preparation for it from getting too stressful. Every time you think of something they got wrong or you don’t think they properly understood, make a quick note of it. Remember to take these with you to the hearing so that you can tick them off as you say them. This might be particularly useful if you haven’t written a statement. If you can't go on the date they give you, contact the tribunal centre and ask for another date as soon as you can. Don't put it off or just do nothing about it - they are usually extremely helpful. You may have to explain why you can't go and you should have a very good reason, like a hospital appointment. It is a good idea to follow up the phone call with a letter and to keep a copy - that way, if anything goes wrong, you can prove you told them. If you leave it until the last minute, they may not change the day and the appeal might happen whether you are there or not. If they refuse to change the date, you should do everything you can to move your other appointment. You can go alone or take a friend or family member with you for moral support. It is best not to take the child the hearing is about with you, indeed if you do take them they often won’t be allowed in to the hearing. (This is because the panel want to be able to frankly discuss the child’s needs without worrying about the emotional impact on the child of hearing it). When you arrive at the tribunal centre you will usually be shown into a waiting room. You might have to wait here for a little while. When the panel is ready for you, you will be called into the room. Sometimes the tribunal will decide the case in your favour just on the evidence, statement, or your explanation on the appeal form. If this happens they may ring you the day before the hearing or tell you when you arrive that they have decided to give you the award that you asked for and so don’t need the hearing to go ahead. When you go into the room (it looks like a big, empty office) there will be a big table in front of you. You (and anyone who goes with you) will sit at one side of the table and the panel will sit on the other side. The person that sits in the middle of the panel is the Chair or Judge. They are a solicitor who should know a lot about benefits. One of the other panel members is a doctor; the other is someone who knows a lot about disability. At least two of the three of them have to agree to the decision. The panel should introduce themselves and explain what will happen. Remember the panel does not work for the DWP. They are here to see that you get the benefit if you can show your child is entitled to it. I’ve been given a date for the hearing but am not ready yet. You can ask for a postponement but you’ll need to give a good reason. For example if you are waiting for a particular letter or report that you want to provide, explain why it is important for the tribunal to see it and say when you think you will be able to send it in. Usually the three members of the panel will be nice and easy to talk to, and will just want to get a full picture of your child’s disability and the help you need. However, you might be very unlucky and get a hostile panel member, or just one having a bad day. If this happens, try to keep calm. Don't take it personally. Stick to what you wanted to say, and answer their questions fully. It is ok to tell them that you feel they are acting a bit aggressively – they might not realise that it is upsetting you, and they might stop if you tell them. If you get upset at any point you can ask for a short break. The DWP has a right to send somebody to your appeal to explain why they made their decision. Don't worry about this though. If they do send someone, they are usually very nice and non-confrontational. It will not be the person that made the original decision about your claim. If you do get some of the benefit already and are asking for a higher rate, you can ask for the hearing to be stopped at any time. If you do this, the Tribunal will not be able to take away the benefit you get at the moment. Usually if the panel is considering a reduction of an existing award then the chairperson will give you warning and ask if you want a few minutes to consider your options. In some areas, hearings are often postponed. This might be because the panel are unexpectedly not available to hear your appeal. Hopefully this won't happen to you, but it is possible that you will arrive to find that you have had a wasted journey. At other times appeals are delayed in order to get more evidence. This can be frustrating, but it is often better in the long run as the tribunal will have more information to base their decision on. Sometimes it also means that the Tribunal will pay for expensive medical reports that you have not been able to afford. The panel will usually make the decision that day. You will be asked to go to the waiting room while the panel discusses your case. This usually takes between 10-30 minutes. You will then be asked back into the room and told the decision. They will give you a written outline of their decision as well. I had to appeal my daughter’s DLA decision after it got put down to only the low rate of care. Suzy has a visual impairment and learning difficulties and needs help day and night. I didn’t want to go to the hearing. I was nervous and I didn’t want to take yet another day off work, but I’d been told we would have a much better chance if I did. It was quite a long wait but once it got started it was all right. They introduced themselves and explained what was going to happen. They were quite friendly. They asked me what help Suzy had needed this morning. I explained she had been really tired because she was up half the night. She has night terrors and takes a long time to calm down. I explained how I’d had to do most of her dressing for her, and brushed her teeth but she can wash her face and brush her hair herself. I explained the help she needs to have breakfast and what a battle it is sometimes to get her to eat anything. I tried to remember to explain why that was more than most nine year olds need. I went into quite a lot of detail, even talking about helping her put her seat belt on and the things I do to stop her taking it off while we’re going along. I’d made a list of all the things she needed extra help with and kept it in my hand. At the end I asked them to wait for a few seconds so I could check I’d said everything. When I had, they asked me to go back to the waiting room. When they called me back in, they told me that they had given me high rate care and low rate mobility. We went out for pizza and a new toy to celebrate! If you have written a statement, take a copy. Any notes you have written of the things you want to say. Receipts for your travel and lunch, a letter from your employer if you have lost earnings, and proof of childcare costs if you have had to pay for childcare. See ‘Work out what you need to claim expenses’ for more details. You can take a friend or relative to the appeal with you. If you have asked somebody to come with you to give you support, show them the information in the box below. It explains what they can do to help. If you think it might help, ask a friend or family member to come with you for emotional support. They might also be able to help by reminding you of things you have forgotten. If you do ask a friend, show them the box ‘For friends and relatives’ below. The panel may be running late and so you might have to wait. If you have made any notes of what you want to say, go over them. Try to keep calm. Have a snack in your bag in case you get hungry. There will usually be water available. Many people find they get very emotional at the hearing. It doesn't matter if you get upset. It won't make any difference to your chances. Remember, you can ask for a break to calm down. If you had asked for any help with communication or translation and it is not available, you should insist on having the hearing another day. If you sent them any evidence before the hearing, check that they received it. If you don't understand a question ask them to repeat it or put it another way. If you still don’t understand, tell them that. If they say something that isn’t right, make it clear that it is not true. For example, if they say “He doesn’t have much trouble with walking does he?” make it clear if your child does have trouble with walking. Don't make light of the problem. It's tempting to gloss over the difficulties your child has but you will only harm your case if you do. Be as frank as you can be. Try to make sure you don’t exaggerate the problems that your child has either. If you do this, the panel might not believe you when you are not exaggerating. Parents often want to explain the impact of meeting the extra care needs their child has on the rest of their family or their own health. Try not to do this as it is a distraction. Just explain what extra help your child needs and why they need it. Try to answer every question as broadly as you can. If you just give short answers, the panel won’t be able to get a better understanding of your situation. So try to give longer answers and be willing to explain things. For example, if they ask if your child needs extra help to get washed in the morning, don’t just say yes or no. Tell them if they do, what they need help with, how long it takes you, and if they need help with anything else in the morning. If you find you haven't said everything you want to say because they haven't asked the right question - tell them anyway. It is important that you say everything. A clever tactic is to make notes about what you want to tell them and tick them off as you say them. Make sure that they are all ticked off before you leave. If you need to, you can ask them to wait a moment while you check your notes. If you have taken somebody with you for moral support, this is a very useful thing for them to do. If your child’s condition goes up and down and they need different amounts of help on different days, you will need to make this clear. It is best if you can say roughly how often you need help with each thing, rather than saying 'sometimes'. For example, ‘David's condition is bad for three weeks out of every four. For those weeks his joints are very painful and he cannot walk very far or stand'. If you have kept a diary of the help your child needs you should be able to use that to work out how often they need help with different tasks. Before the hearing, sit down with your friend and write a list of all the help their child needs. Take it with you on the day and tick them off as they are said. If at the end of the hearing there are still things that haven't been said - you can remind them. Try not to answer questions on your friend's behalf. If you realise that your friend has left bits out when answering a question - try to remind them, rather than say it for them. However, if they are finding it difficult or becoming very emotional you can answer the question yourself (although it is best to ask the Tribunal Judge if it is OK first, just to be polite). If they get upset or stressed you can try to calm them down. If this doesn't work, ask them if they want a short break. You should also check if you will now be entitled to extra benefits like Carer’s Allowance, extra Housing Benefit, and the disabled child element of Tax Credits. For some parents, these additional benefits are worth more than the DLA. Check if you are entitled to any extra benefits now by speaking to an adviser (see How to find an adviser ) or by using the benefits calculator on the Turn2Us website. This is a benefit expert who can give you advice about your claim. They may also be able to help you prepare for the hearing. If you are lucky, you may be able to find an adviser to be your representative at the hearing (see below). The law specifies that one kind of help that counts towards entitlement to DLA is ‘attention’. This can be physical help such as spoon-feeding a child or doing buttons up (if they are old enough for other children of the same age to be able to do this without help). Or it can be non-physical help such as prompting a child though the stages of getting dressed, or encouraging a child to eat or stay focussed. The law specifies that entitlement to DLA has to be based on needing extra help with ‘bodily functions’. This is anything to do with the body and how it works, for example eating, drinking, washing, dressing, going to the toilet, sleeping, thinking and communicating. This means anything that you reasonably need to do every day or most days. This includes things like eating, washing, dressing, taking medication, sleeping and so on, and also learning, communicating, and having fun. Also referred to as ‘bodily functions’ by the DWP. We have used this phrase because we think it is more easily understood. This is the government department that deals with most benefits, including Disability Living Allowance. This is the name for the panel of three experts who do not work for the DWP who will hear your appeal to see if the DWP made the right decision. This is the government department that organises the tribunal and the hearing. This is when your appeal is looked at by the Tribunal. You can either have a hearing in person (also called an ‘oral hearing’) when you go and speak to the Tribunal face to face. Or you can have a written hearing (also called a ‘paper hearing’) when they tribunal just look at the papers again on their own. We strongly advise you to go to a hearing in person. You have a much better chance of success if you do. This means the DWP will look at their decision again. You must ask for a mandatory reconsideration before you can appeal a decision. See How to ask the DWP to look at their decision again. This is the letter the DWP sent you to tell you of the Mandatory Reconsideration decision. You will have received two copies. You must include a copy of the mandatory reconsideration decision notice with your appeal form. This is an expert in benefits who might help you prepare for the hearing and may be able to come with you to help you put your case. SSCS1 This is the form you must use to ask for an appeal. See How to ask for an appeal for advice on how to fill it in. Supersession This means having your child’s claim looked at again because their illness or disability has changed since the date of the decision. The law specifies that one kind of help that counts towards entitlement to DLA is ‘supervision’. This means where the child needs someone with them to avoid substantial danger. This could be because the child might need to be physically restrained to stop something from happening (for example, running into a road) or where they need to be watched in case something happens (for example, a seizure) and they need help afterwards. All children need some degree of supervision, so to entitle a child to DLA the child must need a lot more supervision than other children their age. Tribunal Judge This is the person that sits in the middle of the panel who will make a decision on your case. They are legally qualified. Upper Tribunal This is like a higher court. If you weren't successful in your appeal, you might be able to appeal to the Upper Tribunal, but you can only do this if the panel made a mistake with the law. 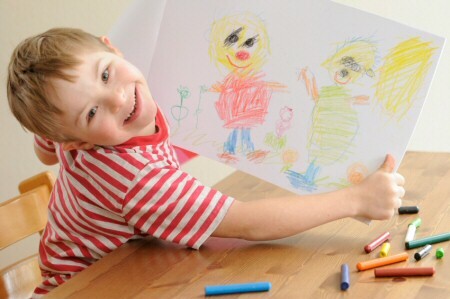 Contact a Family is a charity working with and for families with disabled children. They have some really useful information about claiming DLA for children and how to cope with the trickiest bits of the form which may help with your appeal. See 'How to find an adviser' on How to decide what to do for help to find an adviser or representative. This page is written for doctors, social workers, support workers, paid carers, teachers, occupational therapists, and other professionals who might be able to tell the appeal panel what they need to know. It explains how to write helpful evidence for this kind of benefit appeal. Evidence from doctors and other professionals helps the tribunal to come to the right decision more than anything else. Your evidence doesn't need to be long or typed, but it would be most useful if it included everything you are aware the child concerned needs help with. Whether a child is entitled to DLA is decided by how much help they need. They may not get this help, many people 'manage', but these benefits are based on help they should have in an ideal world. This appeal is about a decision that was made on …………………………. [parent to fill in]. Your evidence needs to be about how their condition affected them at that time. If you are a medical professional, start by confirming any diagnosis and any treatment that they receive. If you are not, start by saying what help you regularly provide for the child. Then you need to go into the detail. If they cannot walk even short distances without discomfort, or if they are very slow, please say. If they need help to walk around school for example, please explain what difficulty they have and what help they need. Equally, if they need more help than another child their age to go further afield to places that are unfamiliar, please say that. This might be help to stay safe or encouragement, prompting or soothing. If they can do any of these things on their own but it takes them a very long time, causes them pain, or may put them (or somebody else) in danger the law sees this as needing help. Do they need help overnight, to stay in bed, go to the toilet, calm down if they get distressed, etc? If you are aware that they often have difficulty sleeping it will be useful to say that. If you are aware that they have been hurt, or could have been hurt, as a result of their condition, you should say so. Perhaps they have fallen, had violent seizures, or self-harmed. If you are aware of a time when they have hurt or posed a danger to somebody else, it would be most useful to include this. Can you explain what help they need to take their medication, or do their therapy, and how often they have to take it/do it? Lastly, does their condition fluctuate? If it is bad on some days but better on others, it would be useful to make that clear. On the left is information to help you write your statement to the panel. It tells you all the things you should try to put in your statement and how to begin. On the right is the statement Andrea sent to the panel looking at her son Alfie’s appeal. We have included it to show you what sorts of details about your child’s illness or disability you should include in your statement. Explain why you are writing. I am writing to you to explain my reason for appealing the decision to award my son Alfie Nowak the lower rate of care of DLA. Tell them what rate you think your child should be entitled to. If you don’t know, just say ‘I believe I am entitled to more’. Go to How to decide what to do for more information about the different rates. I am appealing the decision as I believe that Alfie is entitled to the high rate of care and low rate of mobility. If your child has a diagnosis or diagnoses explain them here. Alfie has been diagnosed as having ADHD, Oppositional Defiance Disorder, learning difficulties, and behavioural problems. Explain the main symptoms or difficulties they have because of their illness or disability. Remember to explain how it affects them. Alfie gets very distressed and finds it impossible to follow rules. He is sometimes violent and destructive. He can be so impulsive that he can put himself and others in danger. If your child has physical difficulty walking, it is most useful to talk about distances in terms that mean something to you. For example, it is better to say 'Walking between lessons causes him pain' than ‘He can only walk for 50 metres’. If your child can walk but needs more help than another child their age to keep them safe, calm or to find their way, explain what help they need, and what would happen if they didn’t get it. Alfie can get very angry about going places, for example, going to school. It is only a 5 minute walk but it is a huge battle every day. In order to get him to go and to keep moving without difficulty I have to soothe and calm him constantly. I hold his hand because this helps keep him calm and means I can restrain him if he starts to get angry or panic. When he gets angry or panics he will impulsively run away, including into the road. Alfie also panics at the sound of unexpected noises - dogs barking, a loud motorbike, a scream or siren. At other times he can get aggressive or destructive and has tried to start fights or break things if I haven’t been there to physically restrain him. By contrast, most of his peers now walk to and from school on their own. If your child’s condition fluctuates, explain what help you need on both better and bad days. If you can, say how frequently you have better days and bad days. On better days (approximately 3 days a week) Alfie will be able to keep calm and complete basic tasks, provided he gets lots of prompting and help to keep calm, and everything goes his way. On worse days (3 or 4 days a week) he feels overwhelmed by all the things we need to do to get ready for school and needs help with all of them. If you can, spell out what help your child needs. Explain what problems they have with each part of their daily life. Alfie often feels overwhelmed and needs prompting, encouragement and soothing to get up, get dressed, eat his breakfast and get washed and ready for school. He will often refuse to go upstairs and brush his teeth, for example, unless I go with him. This is because he is scared to be on his own. He also needs supervision - without it most days he would either eat far too much or get distracted and eat nothing at all. Without supervision he would not wash his face or brush his teeth or hair either. Alfie is scared of baths and showers and will avoid them at all costs. He has a bath and a hairwash twice a week and we have to go through a whole rigmarole of calming and encouraging and soothing to make that happen. Even then, sometimes he will get aggressive and cross about it and physically prevent it from happening. When we get to school Alfie often refuses to go in. He needs help from both me and his support worker to calm down and get into the classroom without running away or hurting anybody. At school he needs extra help and supervision to keep him engaged, soothed, and prevent him from getting excited and destructive or violent. He needs extra help to learn and to communicate confidently with his peers and teachers. He can be very oppositional about changing clothes and, to avoid difficulty, he doesn’t change for PE or put an apron on for Art. Alfie particularly struggles with transitions - for example when one activity ends and another begins. He needs extra help from his TA to cope with this and keep calm, and he is escorted round the school at these times. Similarly he finds the beginning and ending of school very hard and needs a lot of support from both me and his TA. Alfie finds it hard to go to sleep and wakes frequently. He requires a lot of reassurance and soothing to go to sleep and I am often still doing this at midnight. If he wakes in the night, he panics and anything can happen. I need to check on him so many times a night, it’s often easier for me to sleep in the same room. Tell them if your child has ever been hurt (or might have been hurt), because of their illness or condition. You also need to tell them if they have hurt somebody else because of their illness. Alfie can act impulsively and make poor decisions that put him in danger. He can and has ran into the road when he was angry, he has climbed on to the school roof and attempted to jump off, and he has climbed over the fence and tried to run away. He needs to be supervised at all times so that he can be restrained if necessary. He can also be destructive to things and has broken other people’s phones, computers, glasses or artwork. He can also be very verbally aggressive to others and shout and threaten them. He has only very rarely actually hurt anyone but it has happened. Is there anything your child doesn’t do because they don’t have the help they need? Alfie is a keen swimmer and is very good at it, but I cannot take him swimming as I have hurt my leg. If not getting the help they need causes other problems, it is very useful to say so. They won’t make the connection for themselves. Having to be supervised by his mum all the time causes difficulties for Alfie’s self-esteem (which makes him more likely to be sad and angry and have difficult behaviour). If he could have help from other people to engage in swimming and other activities this would improve. It is important that they understand how often you need help. So try to make sure you have said how often each thing happens. Alfie needs help to take his medication twice a day and to go to therapy at CAMHS once a week. Getting him to take his medication can take 2 minutes or it can take 30. Calming him and getting him to his therapy appointment takes 60 -90 minutes to get there, 30 minutes back. If you anyone helps your child by reminding or encouraging them to do things, explain it. Alfie needs reminding and encouraging to do almost everything. If you disagree with anything in the papers they sent you, you need to tell them what was wrong and why this isn't right. The report from the DWP said Alfie didn’t need help at night, but he requires between an hour and 3 hours more help to stay calm and in bed, and supervision to help him stay safe, than another child of his age every night when I would otherwise be in bed. If there is any other evidence that backs up what you are saying, refer to it. The letter from Alfie’s school confirms his difficulties at school. The letter from CAMHS confirms his difficulties both day and night. Advicenow would like to thank all those who provided advice and feedback on this guide, particularly Jane Owen-Pam from The National Autistic Society, Rachel Ingleby, Jim McKenny, and all the parents of claimants of DLA who made up our panel. Its long but good. Particularly liked the bit on what to do on the day. won my appeal because of it. This is the best guide around. I refer clients to it daily.